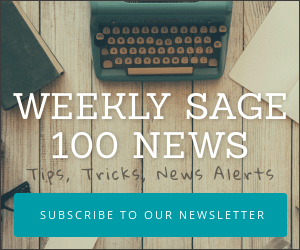 Sage have just released their FAQ for the 2015 year-end. 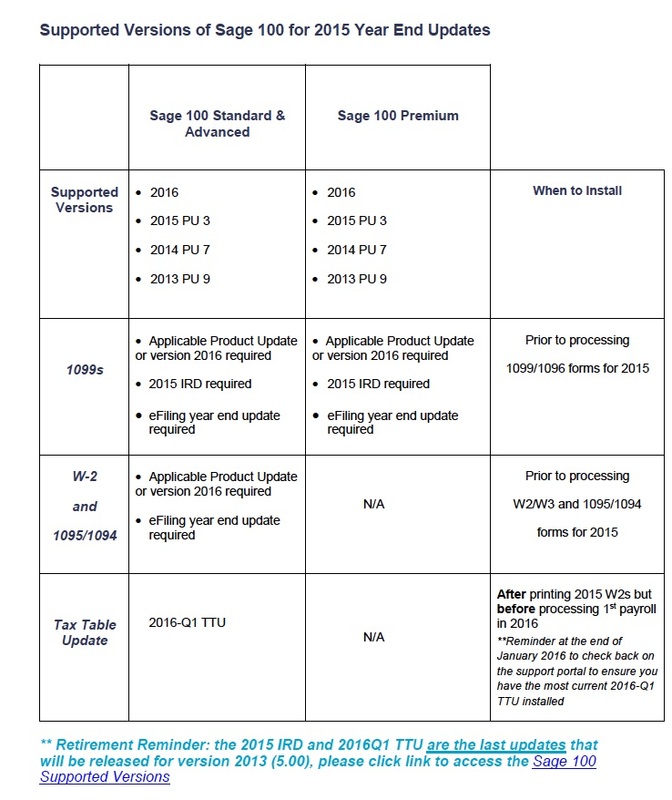 This document outlines what program updates should be expected between now and 12/31/15 as well as the Sage 100 versions that will be supported by the IRD (available for download the week of December 21, 2015). 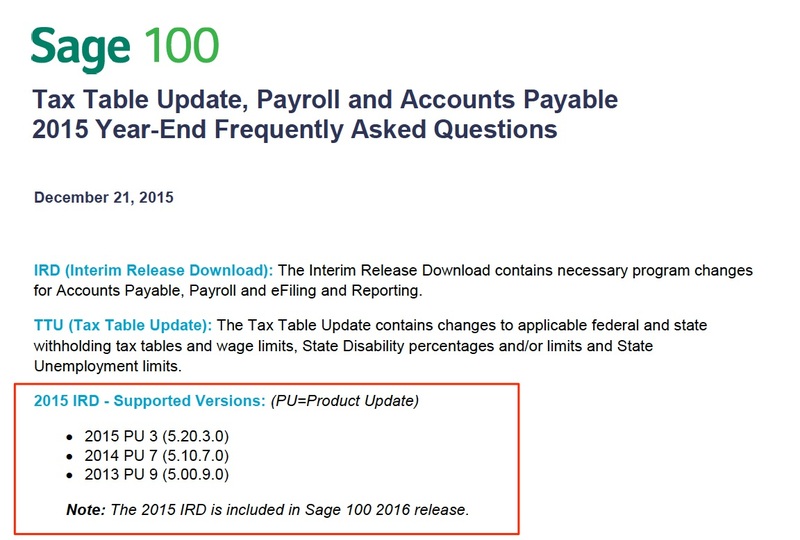 The Sage 100 2016 release already includes all program changes installed by the IRD.